Since 1992, Luv R Blinds has been the name that locals rely on, in order to get the best results for their window treatments. 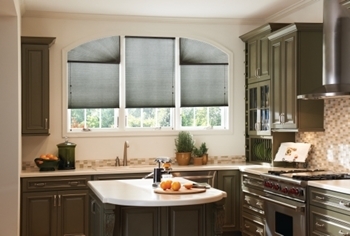 We offer a variety of options including shades, shutters and window blinds. Our flawless reputation is the direct results of our dedicated hard work to address the service needs of each of our clients. We take great pride in all that we do which includes the products we use, the workmanship invested into installing your custom-made treatments and the personalized care we offer each client. Picking just the right window covering is about putting the finishing touches on the home of your dreams. This is not a task that should be taken lightly, nor is it something that you should accept inferior results for. Too many other so-called pros are nothing more than glorified window blinds sales people. Their job is to aggressively push leftover warehouse overstock on customers. We make a difference by working with you and showing you the options that you have and then providing you with tailor-made treatments made created just for you. Here at Luv R Blinds, our shutter company wants to be your Diamond Bar shutter company. One determining factor is insulation. While some homeowners only care about how their new window dressings will look, others like having an additional layer of insulation for their windows, and home in general. So, for instance, honeycomb shades would be your best bet. Their very design creates air pockets, intended to improve the insulating capabilities. The benefit of this is a more energy-efficient home which results in lower energy bills each month. It also means that your household will be more environmentally responsible. Think about how much light you want. The purpose of a shade, shutter or window blind is to help keep light out, at least during certain times of the day. However, for those who tend to love natural light, you may not want to block it out completely. Certain types of shades or curtains will still enable diffused light to pass through, so you always have access to natural light. On the other hand, for some people, the darker the better and there's options for that as well. If you want the maximum amount of privacy and light control, shutters would be your best bet. No other style of window dressing offers as much flexibility and versatility, as shutters, for control purposes. 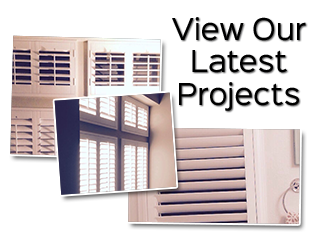 The slat and louver system is unique and offers the ability to block out light completely, or adjust and angle your shutters for a wide variety of options. The bottom line is that we will help you better understand the types of choices that you have and find what will best meet your personal needs. It's not just about finding what looks good, it is about selecting what will meet your individual needs. At Luv R Blinds, we just happen to be window blind experts. If you are in the market for window blinds, you have come to the right place. We don't just know all you need to know about them, we offer the best in both variety and quality. Of course, the end result should be window treatments that you love, no matter what style you end up choosing. Set yourself up for long term success by making it a point to partner with an industry expert who genuinely cares about taking care of their clients. We do and that is obvious from the customer approval rating we have earned over the decades. If you are looking for a window blinds, shutters and shades company in the Diamond Bar, California area please call 951-736-9650 or complete our online request form.